Pro-environmental behavior is the willingness to cooperate and contribute to environmental public goods. A good understanding of why individuals undertake pro-environmental actions is important in order to construct policies that are aligned with preferences and actual behavioral patterns, such as concern for social esteem and reputation. 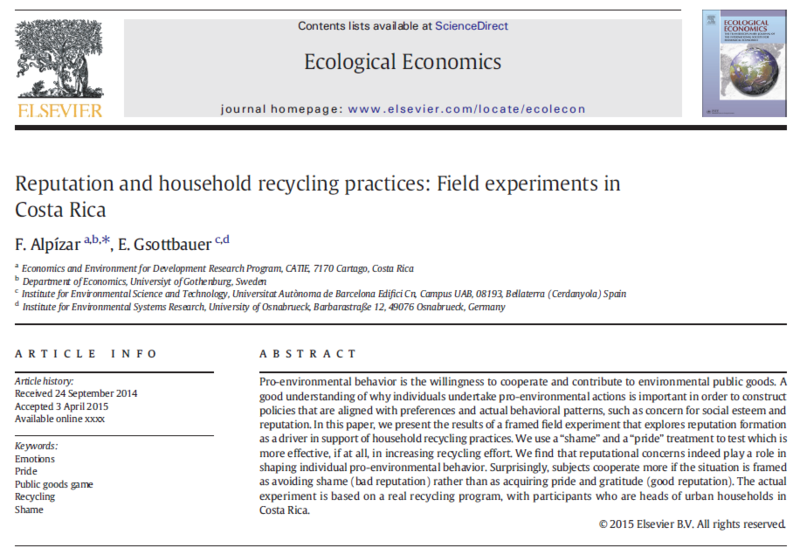 In this paper,we present the results of a framed field experiment that explores reputation formation as a driver in support of household recycling practices.We use a “shame” and a “pride” treatment to testwhich is more effective, if at all, in increasing recycling effort. We find that reputational concerns indeed play a role in shaping individual pro-environmental behavior. Surprisingly, subjects cooperate more if the situation is framed as avoiding shame (bad reputation) rather than as acquiring pride and gratitude (good reputation). 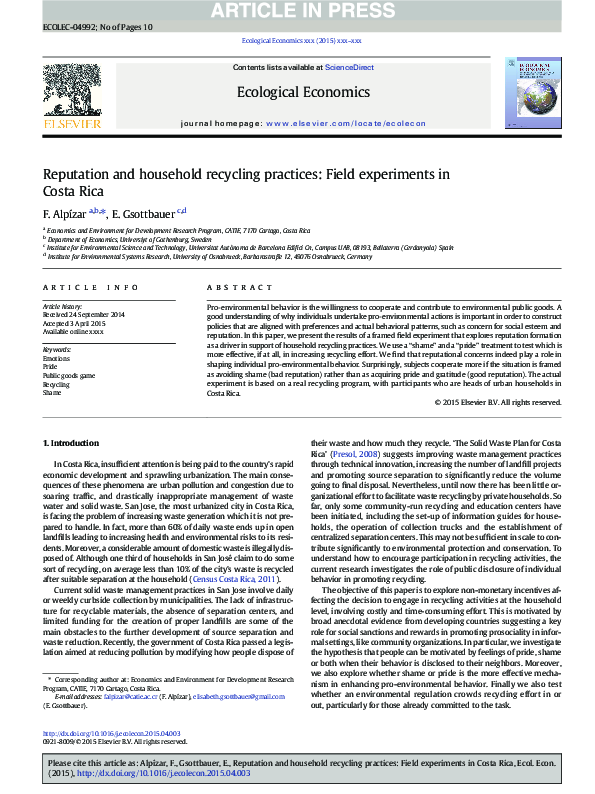 The actual experiment is based on a real recycling program, with participants who are heads of urban households in Costa Rica.